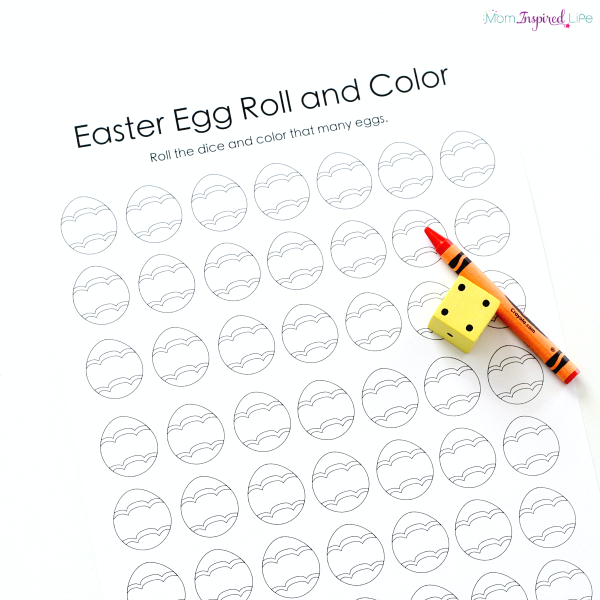 This Easter egg roll and color counting game is perfect for Easter parties! 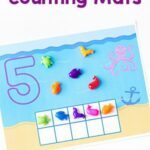 It can be played independently or in groups, but either way kids will have lots so much fun! 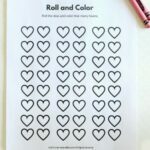 My son really enjoyed the hearts roll and color counting game I made, so I knew I had to make an Easter version too. He liked this one just as much. He really enjoys playing against his Dad and I. All you have to do is print out the game sheets and grab the dice and crayons. It’s super simple! This Easter game is extremely simple to play. 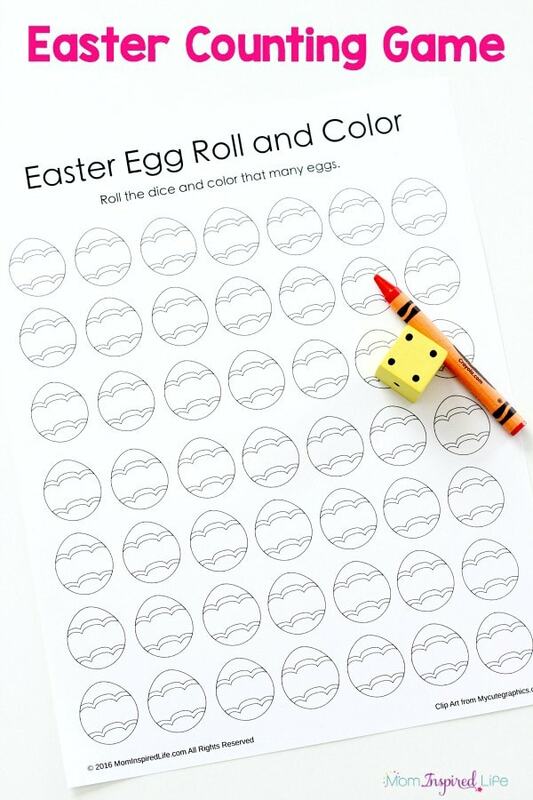 Players just roll the die and color that many eggs on the paper. 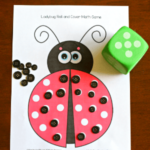 For older children, you can give them a pair of dice and have them add the two numbers together before color that many eggs. Another way to play is to play in pairs of two. Players each pick one color to color with. Then they take turns rolling the dice and coloring the eggs. 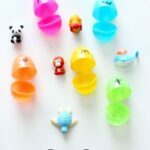 Once all of the eggs are colored, they will count how many each player colored to see who the winner is. 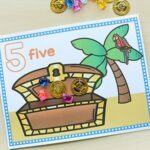 You can also play as a class by giving each student a game sheet, dice and crayons and the first person done, wins! My son likes to play against me on one sheet with each of us using two different colors. This is the best way to play if your child isn’t a huge fan of coloring. My son gets a bit tired of coloring in all the eggs on the sheet, so dividing them between two people is perfect for him. 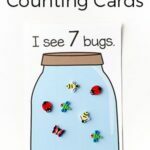 Plus, he loves counting them all up at the end to see who won. This is a fun little game for a family Easter party too. Get into pairs and race to be the one with the most eggs colored!